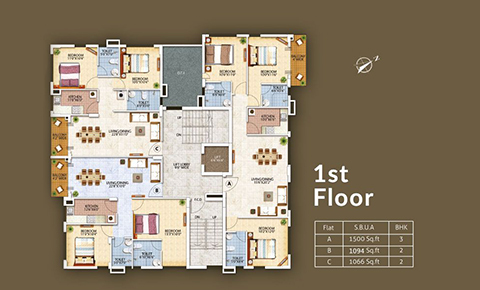 Select 2 BHK Apartments Left.Starting at Rs 41.53 Lakhs. One of the most important investments that you make during a lifetime is when you buy a residential flat. Hence, such investment decisions should be made intelligently. Oswal Group understands the dilemma you face when you go through so many real estate properties in Kolkata without knowing what is the most suitable option for you. 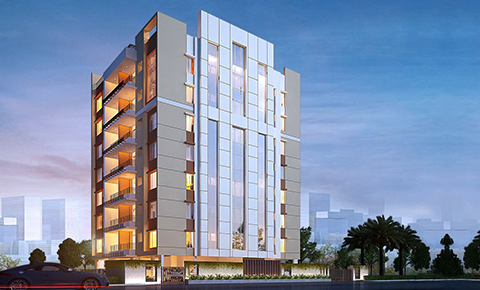 A pollution free zone and natural surroundings,Orchard Residency is a promising residential apartment in New Garia offering modern day amenities and specifications.Not too far away from the metropolis,it houses 21 apartments in the G+7 Block. Orchard Residency is the quintnessential investment you have been looking for.The decorated rooftop will create a divine ambience for your pleasant afternoons and a separate play area will keep your children busy. 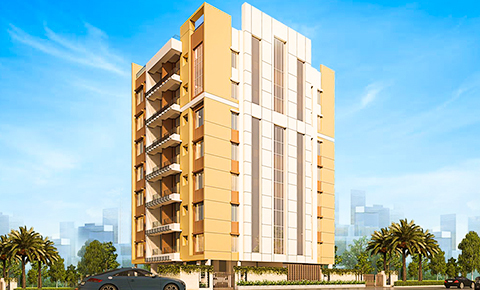 Orchard Residency offers both 2BHK apartments in New Garia and 3BHK flats in New Garia, Kolkata. The complex provides a high lifestyle to people with all required facilities. At a distance from the chaotic and polluted ambiance, you get a project that will soothe all your stress and free your mind. Orchard Residency Gallery showcases the building images to interested homebuyers so that they understand how the complex would look after completion. The day and night views of the residential project are sure to impress you! Whether you choose a 2BHK or 3BHK apartment in New Garia, Kolkata, Orchard Residency will make all essential facilities available to you. Decorated rooftop and 24*7 power back-up are included in the premises. As a resident, you will get a video door phone for all your safety concerns. In addition to this, you will have CCTV surveillance for the common ground floor, 24*7intercomm connectivity, and best firefighting equipment to remain safe and secure. 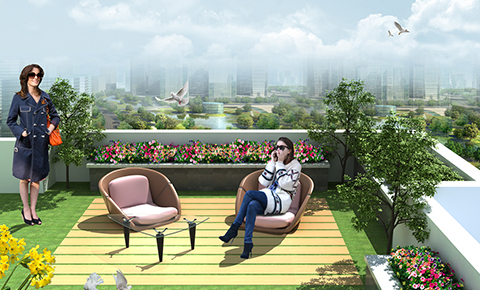 Orchard Residency Specifications give more insights of the project. From being earthquake resistant to excellent flooring and wooden frames for doors and locks make the flats add to the elegant look. Read further to know more! 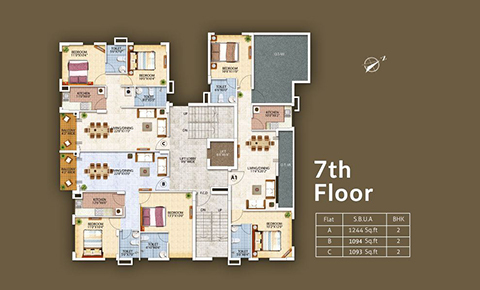 While browsing through Orchard Residency Floor Plan section, you will find three separate plans for 1st floor, 2nd to 6th floor, and 7th floor. 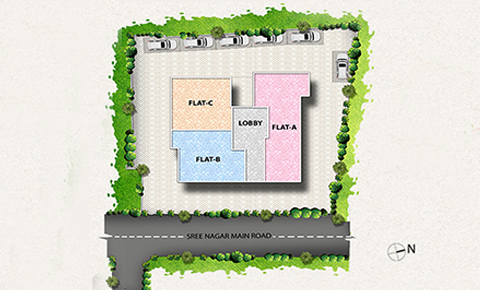 For more details, please contact our executives and we shall give you more information about our project at New Garia.